Don't look now, but it's almost time to celebrate Uncle Sam's birthday again with the annual American holiday known as Independence Day. If you've got a big crew coming over to enjoy the festivities leading up to the nighttime fireworks, keep these seven recipes handy for your red-hot backyard barbecue grill and/or a busy kitchen stove. Kevin VanDam is known around the globe as one of the greatest bass fishing pros of all-time. 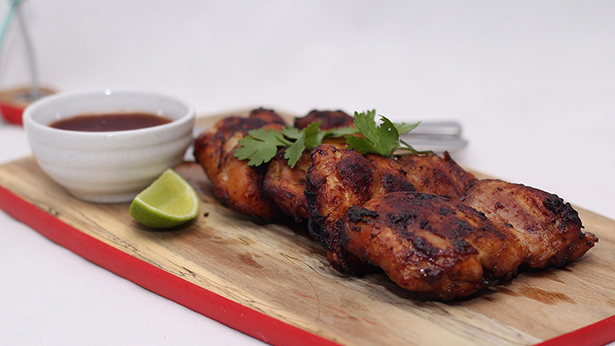 Believe it or not, he's pretty handy behind a barbecue grill too, something proven by his immensely popular Citrus Soda Ribs recipe he shared with us a few years ago. 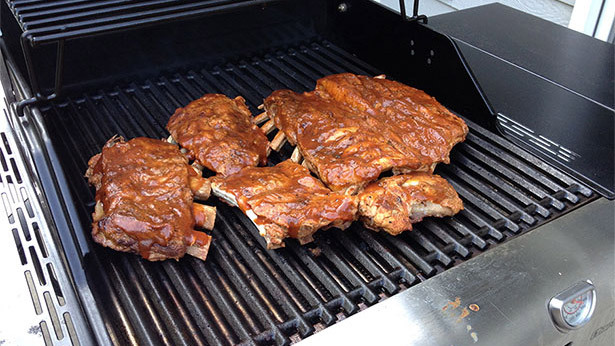 Simple in terms of both ingredients and actual preparation, a great slab of ribs hot off the backyard barbecue grill almost always turns out to be a crowd pleaser. Especially when those ribs are as good as KVD's hit recipe turns out to be. If a plate full of barbecued ribs happens to be one Fourth of July holiday staple, then so too is a good supply of brats (bratwurst) hot off the grill. Add in some toasted hot dog buns and a splash of spicy mustard and your noisy crowd will quickly go from backyard rowdy to church-mouse quiet as they dig in and make this delicious holiday dish disappear. 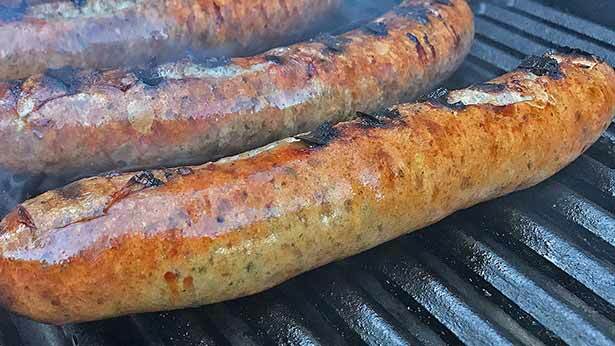 If you've still got some ground venison in the freezer, why not give Raschell Rule's start-to-finish venison bratwurst recipe a try. What do you get when you combine bite-size chunks of duck with a red-hot wok or cast-iron skillet on the backyard grill? Believe it or not, the best duck recipe ever, that's what! If you still have some mallard, teal or gadwall breasts left in your freezer, then pull them out and turn them into this crowd pleasing duck hors d'oeuvres appetizer that a number of people have actually compared to filet mignon - and I'm not kidding either! This great dish is relatively simple to prepare and hinges on not overcooking the portions of duck breast meat, something fully explained thanks to this recipe from Austin, Texas-based, chef Achim Thiemermann (known to many as Chef Keem). 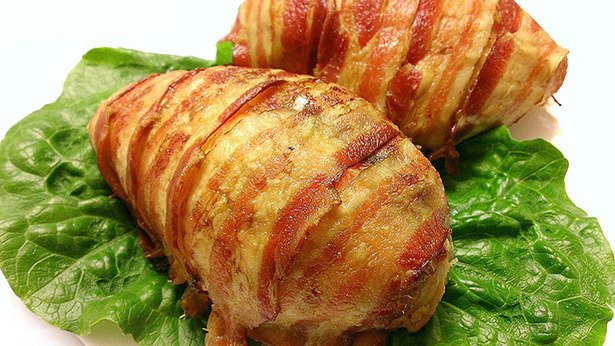 Dove breasts are delectable treats when wrapped with bacon and put on a red-hot grill. About the only thing that I'd add to Raschell Rule's great dove recipe is to add in two or three twists like we do here in my home state of Texas. What are those Lone Star State additions? Simple; add a jalapeño pepper slice (or two) along with a dab of cream cheese inside the bacon. Then put these popper on a hot grill covering a good supply of mesquite wood coals. 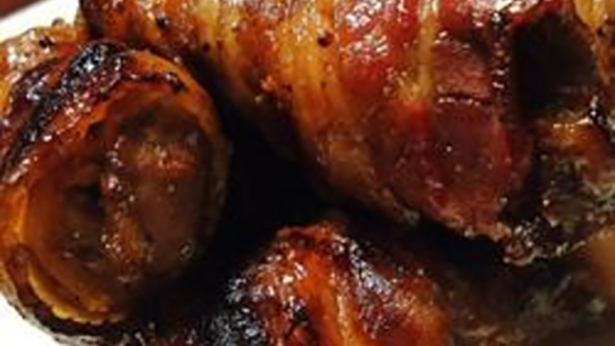 After that, get ready to enjoy the smoky goodness of one of my favorite all-time wild game dishes, one that's as crowd pleasing in July as it is during dove season in September! From coast-to-coast, burgers, dogs, brats and steaks will dominate the Fourth of July menu.If you'd like to prepare a delicious meal that will keep people talking about your gathering for months, why not do something off the wall different and delicious? If that sounds like a good idea, give Raschell Rule's unique Blackberry Barbecue Rabbit recipe a try. Thanks to the good folks at Nevada Foodies, forget the usual burger off the grill routine for the Independence Day holiday. 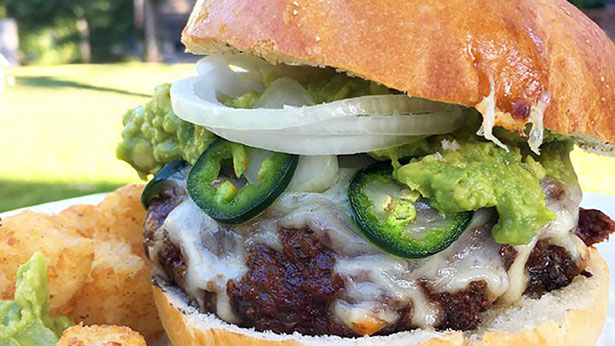 Instead, spice things up with your crowd by going with this artisan-like cheeseburger recipe, one that combines ground wild meat (they use ground antelope is this recipe, but you can substitute ground venison from a whitetail, mule deer or elk if you'd like) along with the spicy goodness of jalapeños, guacamole and melted Monterey Jack cheese. If that sounds like a mouth-watering burger idea, give this recipe a try. A final Fourth of July holiday recipe for your consideration comes straight from the grill of famous gun-writer and big game hunter Jim Zumbo. Since Zumbo has rarely been without a supply of elk steaks over the years, this treasured recipe from the Wyoming resident's household is easy enough to fix and a crowd pleaser as well. If turning a supply of elk steaks into bite-size bacon-wrapped chunks hot of the grill sounds like a good way to fire up your Independence Day crowd, follow the simple preparation tips of Zumbo's elk recipe. And there you go, seven meaty recipes for summertime cookouts, backyard meal ideas straight from the cyber-vaults at OutdoorChannel.com. Recipes that will hopefully leave only a few crumbs on the plate – not to mention plenty of rave dinnertime reviews – by the time darkness falls and fireworks light up the annual Fourth of July sky.